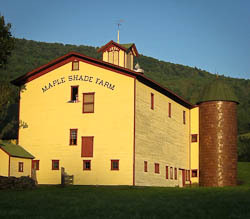 The festival is going to be held at Maple Shade Farm, 2066 County Highway 18, Delhi, NY 13753. Click here to see us on the Google Maps website and get directions. Delhi offers the best of both worlds — close to great cities, but rurally situated in the western foothills of the Catskill Mountains.